Botswana Safari combined with Kruger National Park in South Africa booked for a happy client who had previously booked a South Africa Holiday in 2013. If you like the sound of a Botswana Safari combined with a Safari in Kruger and Cape Town, you can book this exact trip using the enquiry form below or use the itinerary as a starting point and make any changes you want. Clients wished to return on a Kruger Safari with accommodation at the same lodge where they stayed in 2013, followed by a Botswana Safari. They have been booked for 5 Nights in Kruger, before flying out to Botswana for 6 Nights. 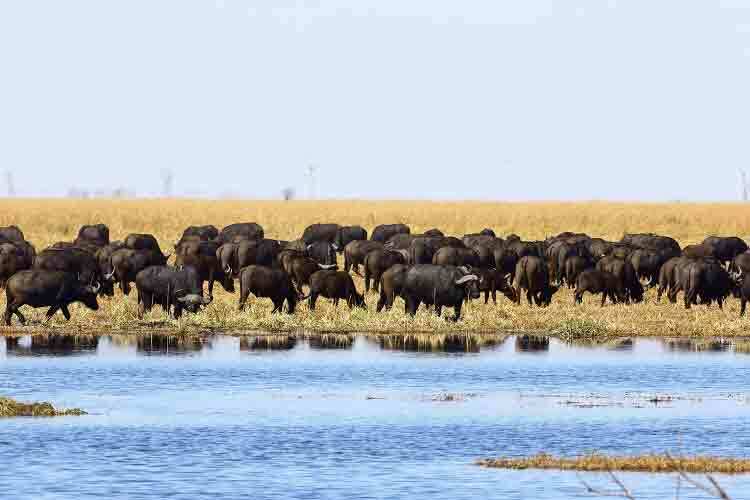 The parks visited on the Botswana Safari include Chobe National Park, Okavango Delta and Moremi Game Reserve. This is followed by 5 Nights in Cape Town; again, at the same hotel previously stayed at. It’s fantastic when our clients ‘hear the call of Africa’ which is sure to happen from your first step on this beautiful continent. such as game viewing in Kruger and a Botswana Safari in the major game reserves. Excursions include game drives from open safari vehicles and by boat on the Chobe River, guided bush walks, night drives and mokoro trips, sunset motorboat cruises and lots more. Price includes: 16 Nights accommodation, full board on safari and bed/breakfast in Cape Town, airport transfers, internal flights x 3, park fees and game drives, private safari, (International flights not included). 2 Nights All Inclusive at Chobe Elephant Camp in Chobe Game Reserve Botswana.